Despite all the talk of cool mobile apps and handset brands, it seems consumers’ bank balance is often the deciding factor in U.S. smartphone purchases. 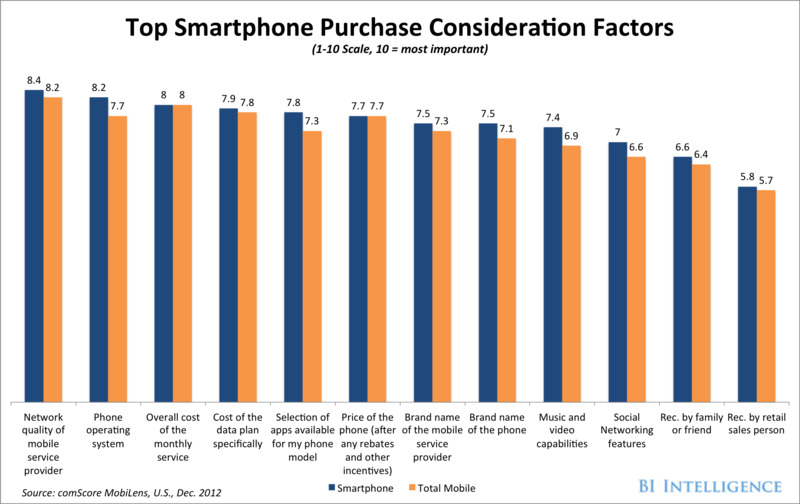 According to a comScore survey, price considerations account for three of the top six factors U.S. consumers weigh when buying a new smartphone. The network quality of the mobile service provider ranks as the most important consideration. 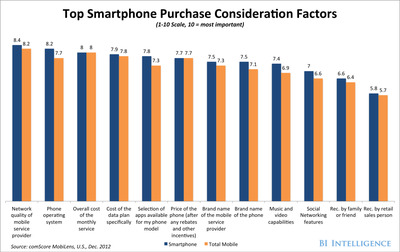 The survey results also point to the commodification of hardware in the smartphone market. Hardware features are increasingly playing second fiddle to the operating system and the platform’s mobile app selection. Even manufacturer brands don’t appear to move the dial as much as OS (although brand appeal obviously does drive many consumers to Apple). If price is still a major consideration in the United States, one of the wealthiest countries in the world, it is likely to be the primary consideration in the developing world.